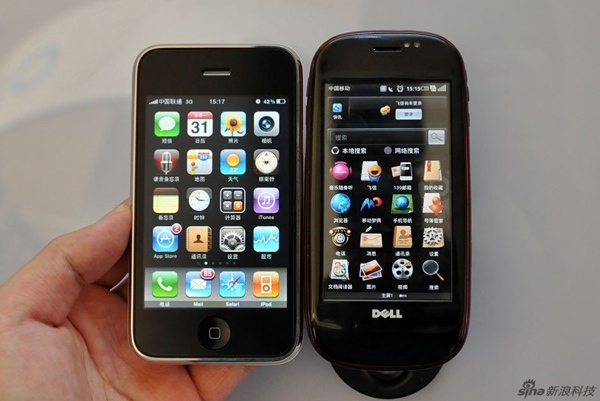 It may have been briefly, sort of official before Dell decided to do some backtracking earlier this month, but it looks like the company's China-bound Mini 3i smartphone has now made yet another public appearance, and Sina has thankfully delivered what looks to be the most thorough hands-on with the phone to date. That, as you can see above, also includes a peek at the phone's Android-based and China-centric OPhone operating system, which ditches the familiar Android Clock in favor of new, different clocks -- and a slew of other interface changes. Hit up the link below to get started. Dell Mini 3i breaks cover for most complete photo shoot to date originally appeared on Engadget Mobile on Mon, 31 Aug 2009 12:39:00 EST. Please see our terms for use of feeds.